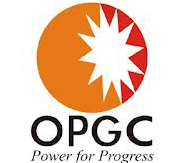 OPGC Jobs Recruitment Notification 2019.Odisha Power Generation Corporation Limited (OPGC) inviting applications for the positions of deputy manager, senior assistant manager, assistant manager, additional manager etc vacancies.Interested and Eligible candidates can apply for the positions. Last Date for Submission of Application is on January 26th, 2019. Number of vacancies to be filled in Odisha Power Generation Corporation is 17. Bachelor degree/ BE/B.Tech holders from a recognized university can apply for the above manager posts. Applicants to get the post wise age limit you may refer the official notification. Either through telephone interview or else personal interview contenders will be recruited out. Candidates can apply for OPGC Notification 2019 through online mode. 26th January 2019 is the last date register. http://www.opgc.co.in/ is the link to apply online.